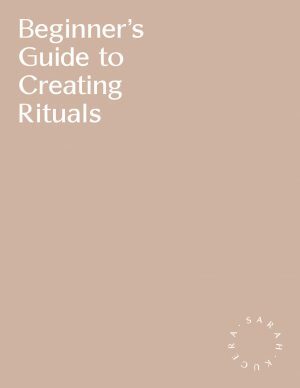 Rituals are like routine, but with greater presence and intention. They can include, but are not limited to, things like self-care, breathing and meditation practices, creative activities and seasonal eating. They do not require a huge time commitment and can be powerful enough to heal current health conditions or to act as a means of prevention. When carried out consistently, their positive effects accumulate. When they are paired with the cycles of nature, their potency increases. Use this guide for examples of morning and evening rituals that are easy and effective to incorporate, in addition to learning how to be successful in carrying out the routines you choose.